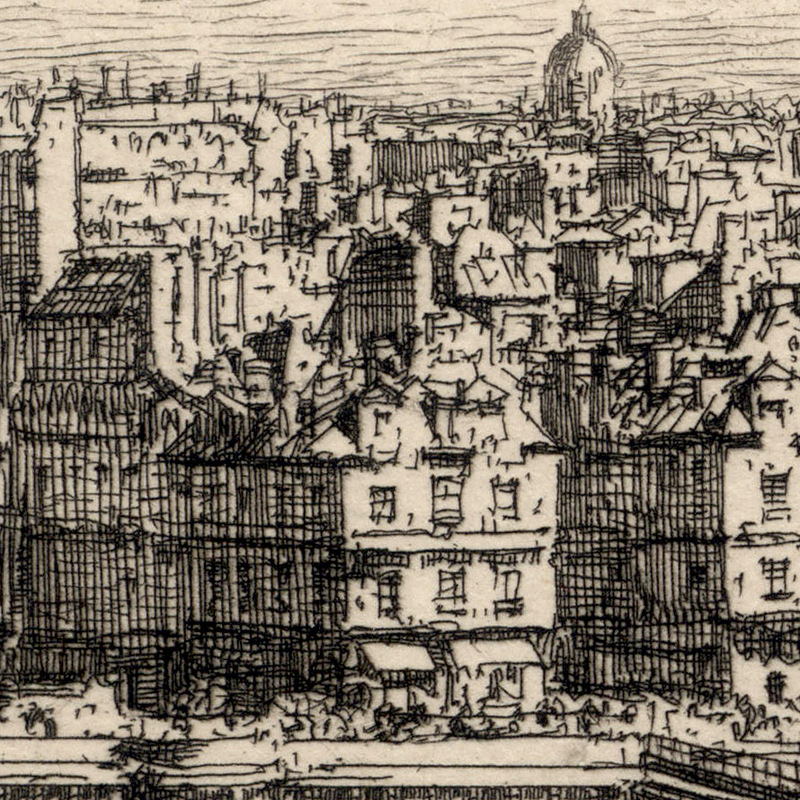 “Vue Prise Du Louvre” (aka “Vue de Paris”), 1882, published in “Portfolio” (1883) (vol. 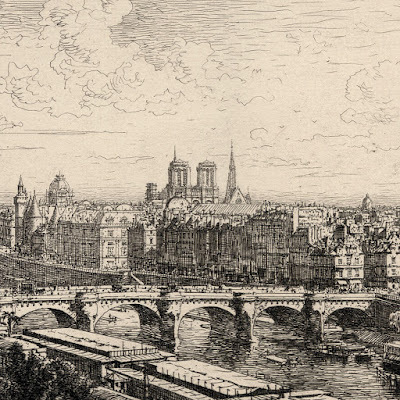 14, p. 32) and in PG Hamerton’s “Paris in Old and Present Times” (Seeley: London 1885) (opp. 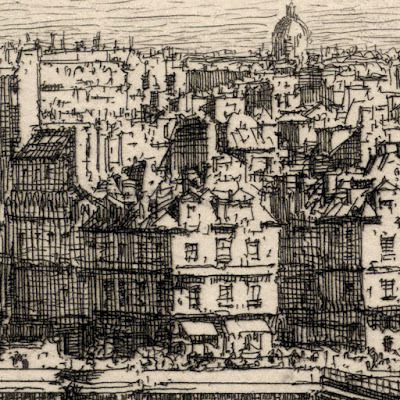 p. 12). Etching on heavy cream laid paper, watermarked “PORTFOLIO” with full margins as published. 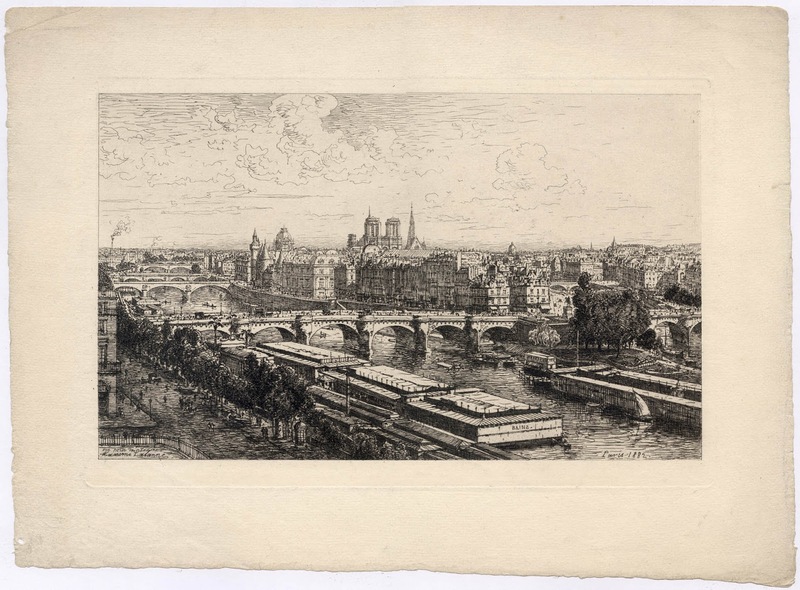 Inscribed on the plate within the image borderline: (lower left) “vue prise du Louvre / Maxime Lalanne”; (lower right) “Paris 1882"
Condition: richly inked and well-printed impression in excellent condition with minor signs of handling (e.g. bumped corners and small edge tears). 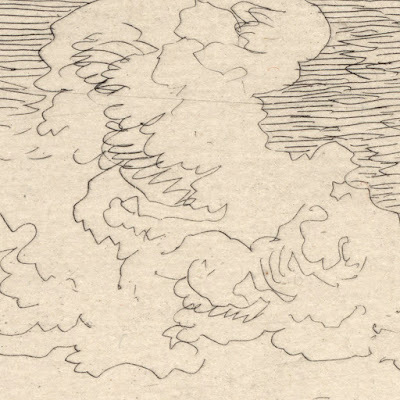 The sheet is laid paper with inherent unevenness to its shape and natural flaws (e.g. 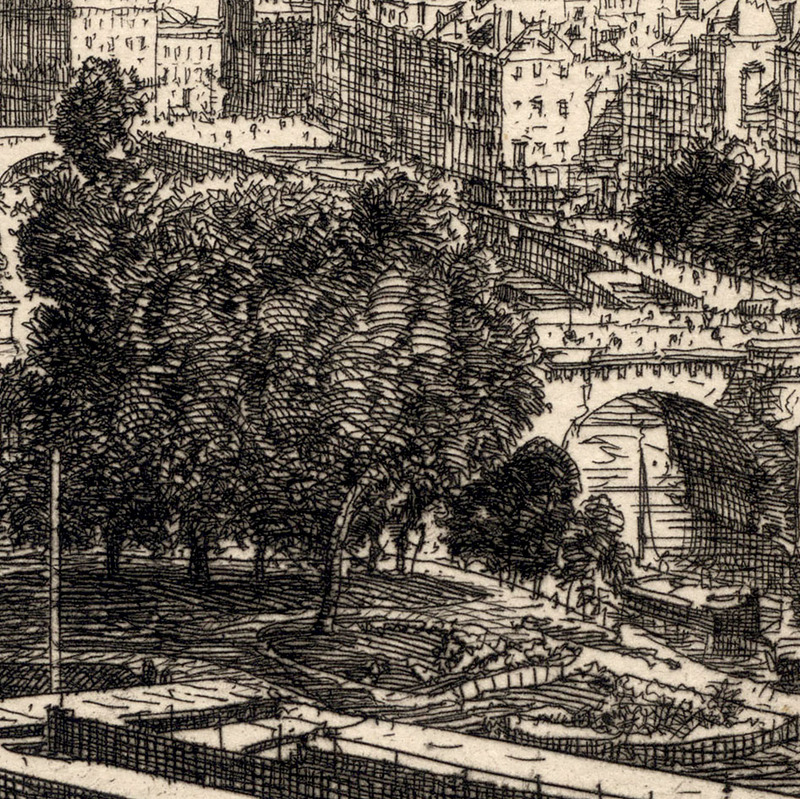 there is a small hole at the lower left that is a naturally occurring part of the paper in its manufacture). 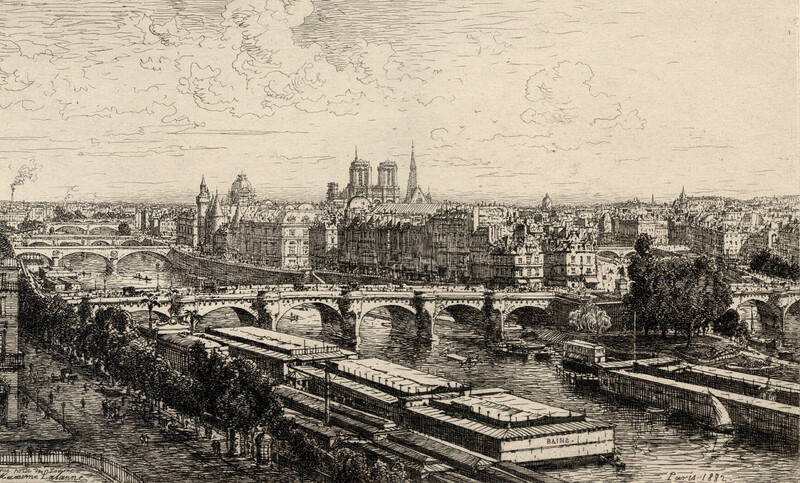 I am selling this major print by Lalanne and a historically significant image of Paris in the late 19th century, for the total cost of AU$166 (currently US$128.28/EUR108.11GBP96.01 at the time of this listing) including postage and handling to anywhere in the world. 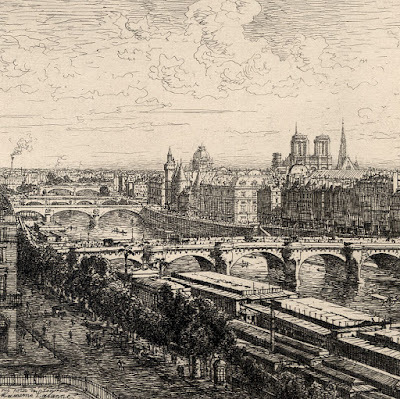 If you are interested in purchasing this sweeping view of Paris executed by one of the most famous draughtsmen/etchers of the 19th century, please contact me (oz_jim@printsandprinciples.com) and I will send you a PayPal invoice to make the payment easy. This is print is argued by Henre Beraldi (1889) in “Les Graveurs du XIX ème Siècle”, vol. 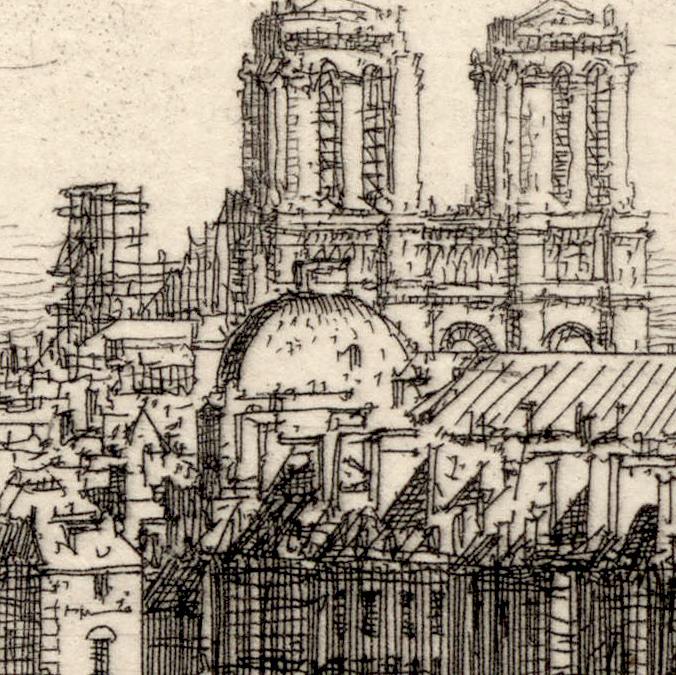 IX, as being one of LaLanne’s nine principal plates. 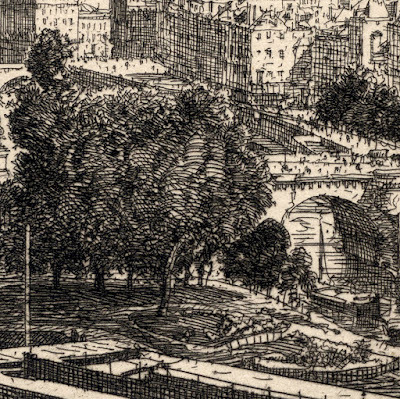 Important to this discussion, however, Jeffrey M Villet (2010) in his catalogue raisonné of LaLanne’s prints proposes in his description of this particular print (see cat. no. 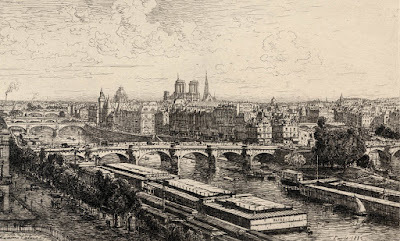 146) that it was “[a]pparently exhibited at the Salon in 1883 under the title ‘Vue de Paris’ (no. 4740)”. 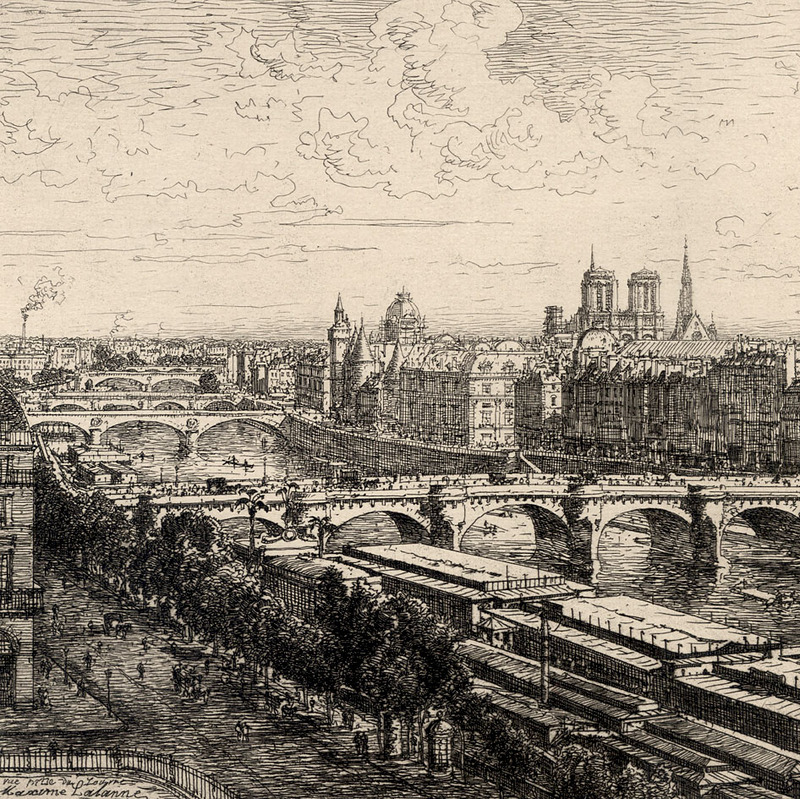 What is surprising about this print being hung in the Salon of 1883 is that it was accepted (along with over 120 of Lalanne’s other prints from 1863 to 1886) despite Lalanne’s leaning to create what Villet describes as “a new order of unrelenting harmony” that “would have been branded as a dance too close to the heretical edges of Impressionism had it been perceived at the time, but it was not” (p. xi). This “new order” fits with the idea of a singular vision of landscape where all components are of equal and supportive importance. 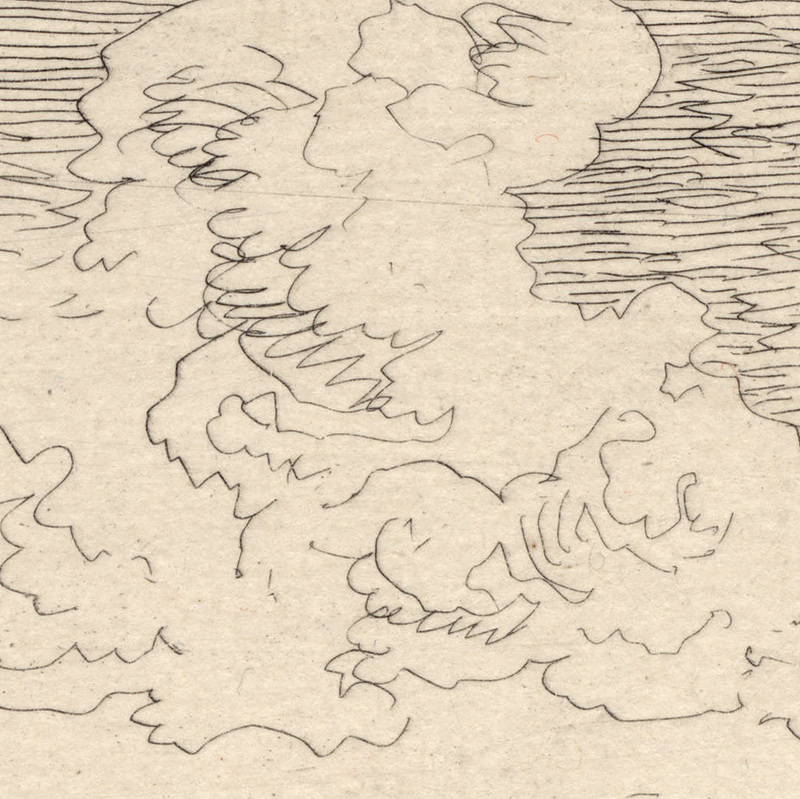 For example, the clouds in this scene are drawn to be an integral part of the scene in the sense of neither being irrelevant nor too arresting to the eye—a feat that is much harder to achieve than one may imagine! From my standpoint regarding Lalanne’s “new order”, this may not be a rebellious or “heretical” to the aesthetic leanings of the Salon, but rather a symptom of Lalanne’s health. What I mean by this comment is that by 1882 Lalanne was suffering from osteomalacia and was only able to see through his left eye. 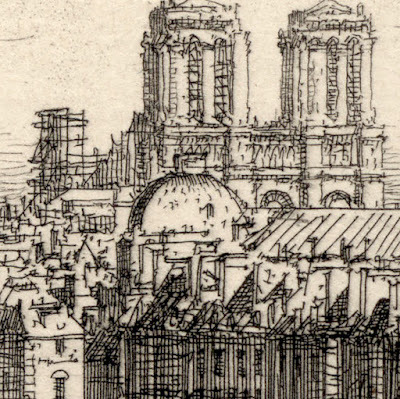 In short, his vision was monocular (as if looking through a camera rather than binoculars) with the outcome that he could only see focal planes rather than focal points.